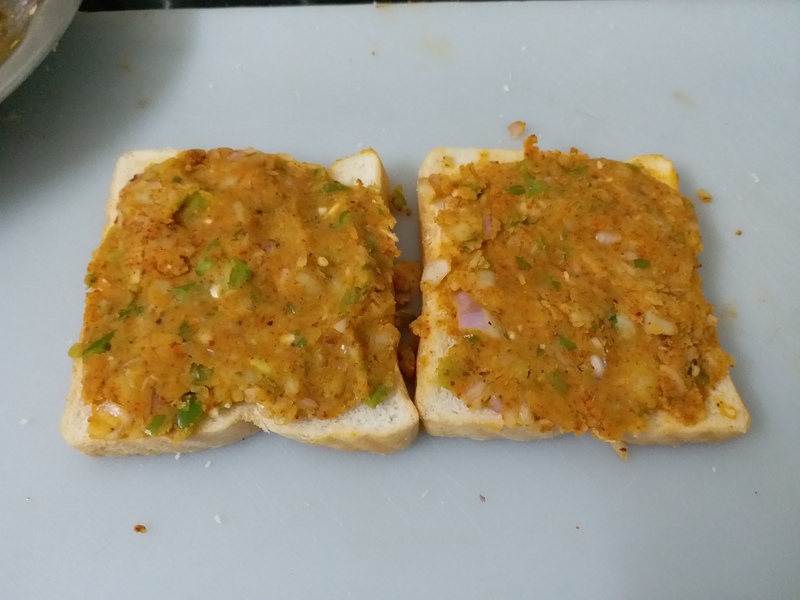 Crispy Pav Bhaji Toast is the latest favourite in my kitchen.Its easy to make and very flavourful.The vegetables mixture which is used to make the toast can also be used as a stuffing to make pav bhaji paratha. Today I have used capsicum along with boiled potatoes,any other vegetable like boiled peas or sweet corn,grated carrots or thinly diced beans can also be used. 4 slice Bread (white/Brown/Multi grain ). 2 Boiled,deskinned and mashed Potatoes. 1 Onion finely chopped . 1 inch Ginger finely grated. 1 tsp Dhana Jeera powder. 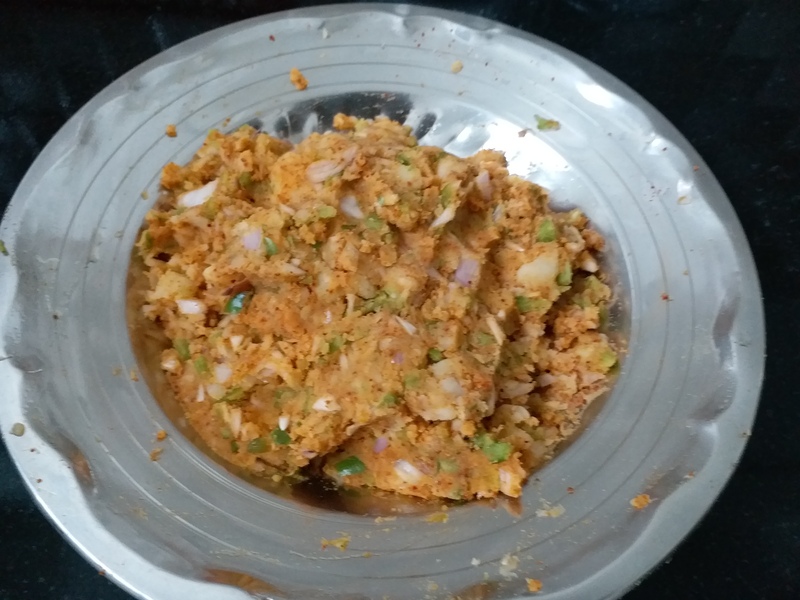 1 tbsp Pav Bhaji Masala. 1 tsp Lemon juice . 1 tbsp roasted sesame seeds. In a plate Mix all the ingredients except bread and oil. 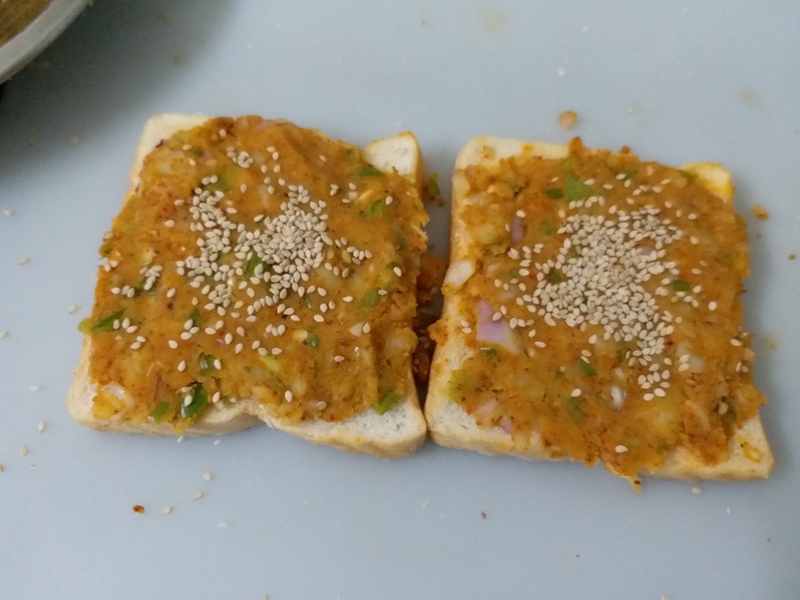 Apply the prepared mixture on one side of bread,spreading evenly. 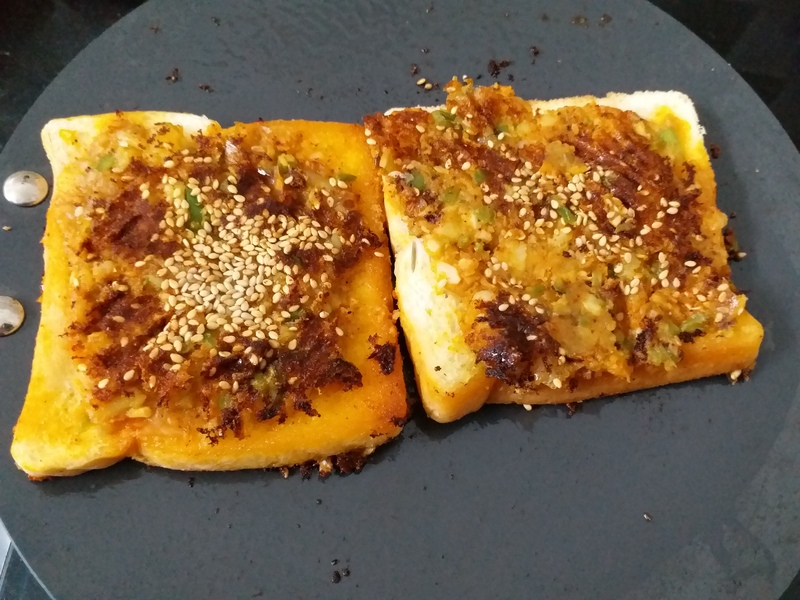 Sprinkle roasted sesame seeds on top. Prepare all the breads in same manner and Keep aside. Heat a non stick griddle,brush with little oil,place bread on the griddle with vegetable mixture side down,cook till the mixture turns nice and crisp. Turn and cook on slow flame till the bread becomes crisp. 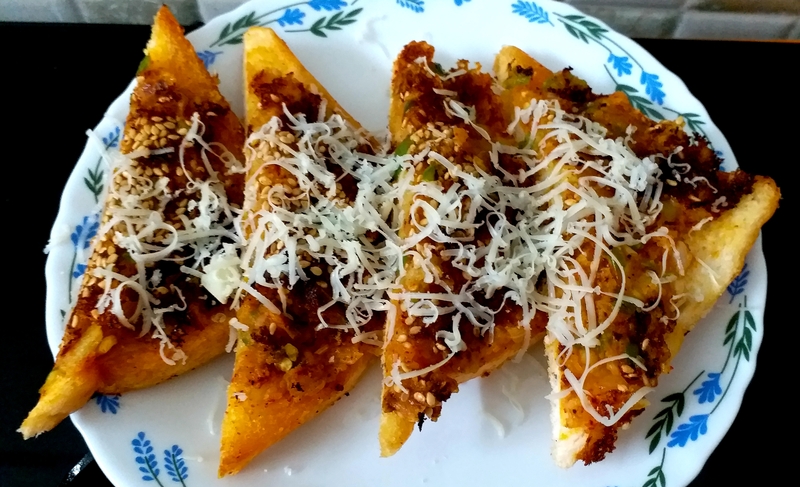 Remove and cut into triangles,garnish with grated cheese. Serve immediately with ketchup or green mint chutney.